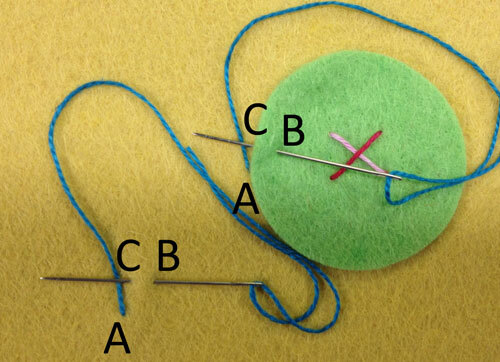 The Blanket Stitch is a great way to outline a fabric shape and hold it in place at the same time. It tucks in around a fabric edge holding it safe while biting into the edge of the shape. It can also act as a decorative stitch across the surface of fabric creating rows of UUUU or MMMM depending upon orientation. 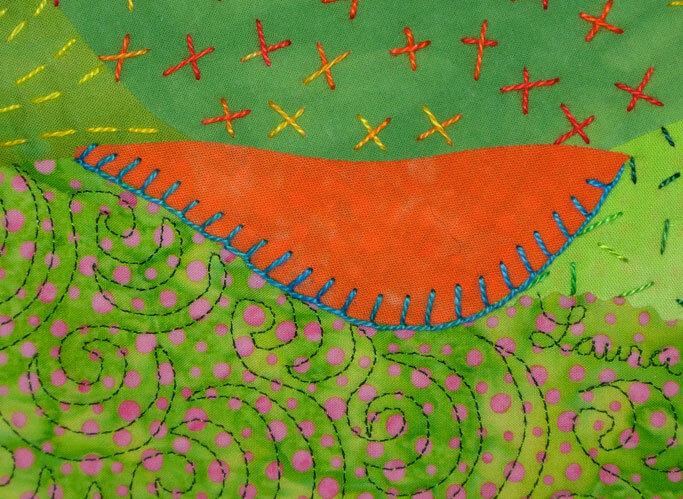 If you line up adjacent rows of the Blanket Stitch, you create boxes. 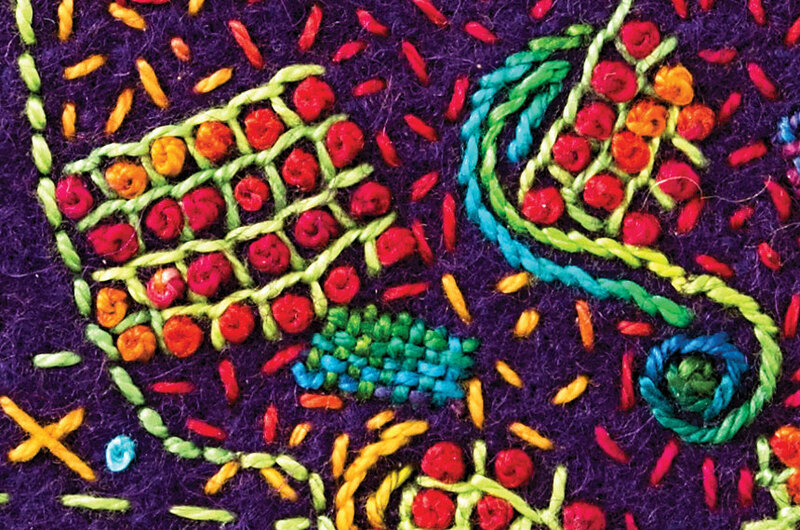 Fill the boxes in with French Knots to make a patterned texture. 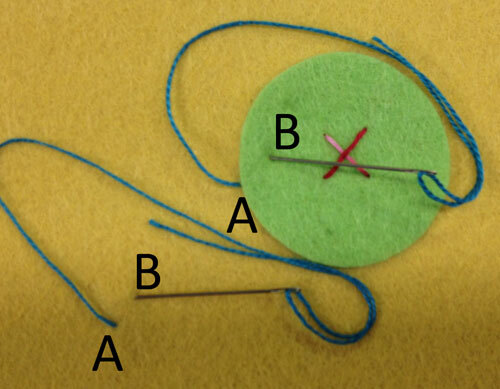 Here’s how to make Blanket Stitches: With the thread on top at point A, place the tip of the needle about 1/4″ to the right of point A and up about 1/4″ at a new point, B. Insert the needle at B and exit at C, about 1/4″ up from A. Trap the thread coming out of A under the needle tip and draw the needle and thread slowly through the fabric. Point C is now Point A. Repeat the directions above forming a row or following the edge of a shape. 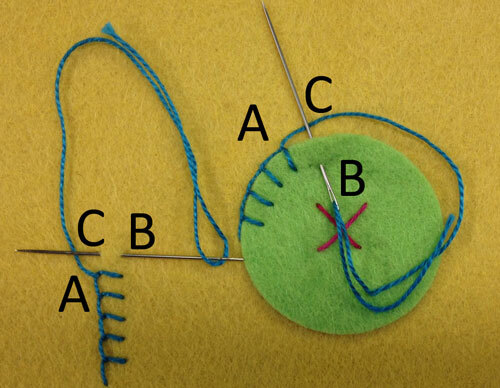 Different effects are achieved by varying the spacing between points A and C or the length of the B/C stitch. 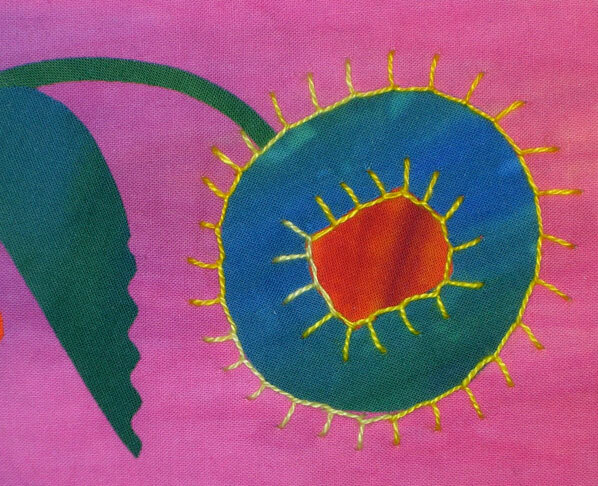 You can also use the Blanket Stitch as an outtie (above) rather than an innie when surrounding shapes.